New Delhi : The much anticipated Redmi Note 7 which was announced in China last month will now be released in India. Xiaomi India Managing Director Manu Kumar Jai posted an image of him along with Xiaomi CEO Lei Jun holding the Redmi Note 7 in his hand. It's a hint that the launch event will be held soon. According to the invite, Xiaomi will be launching the Redmi Note 7 in India on February 12. 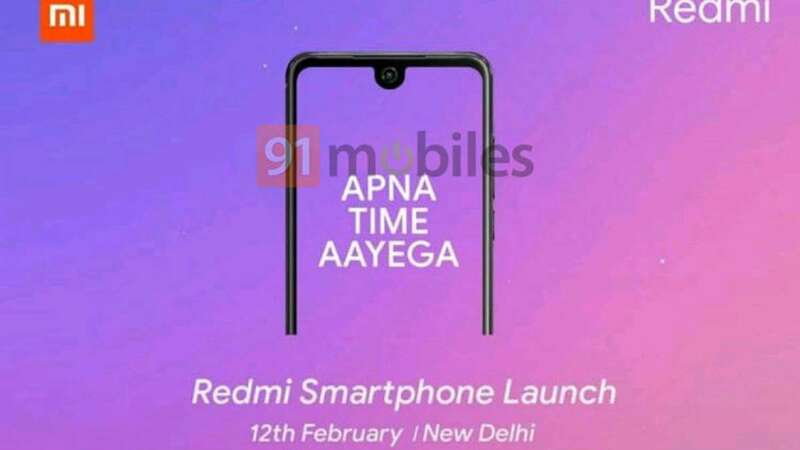 The invite also has the tagline “Apna Time Aayega” (Our Time Will Come) and an outline of the smartphone showing the water-drop notch design. The all-new Redmi Note 7 features a 6.3-inch full-HD+ (2340x1080 pixels) LTPS display with 19.5:9 aspect ratio, 450 nits brightness, 84 percent NTSC colour gamut, Corning Gorilla Glass 5, and 2.5D curved glass protection. It runs on a Qualcomm Snapdragon 660 octa-core SoC paired with 3GB, 4GB, and 6GB RAM options along with 32GB and 64GB storage options. The Redmi Note 7 is priced at CNY 999 which is Rs 10,500 approx for the 3GB RAM variant with 32GB storage, CNY 1,199 which stands at Rs 12,500 approx for the 4GB RAM version with 64GB storage, and CNY 1,399, which is Rs 14,500 approx for the 6GB RAM with 64GB storage option. It is being said that the starting price for the Redmi Note 7 in India will be Rs 9,999.